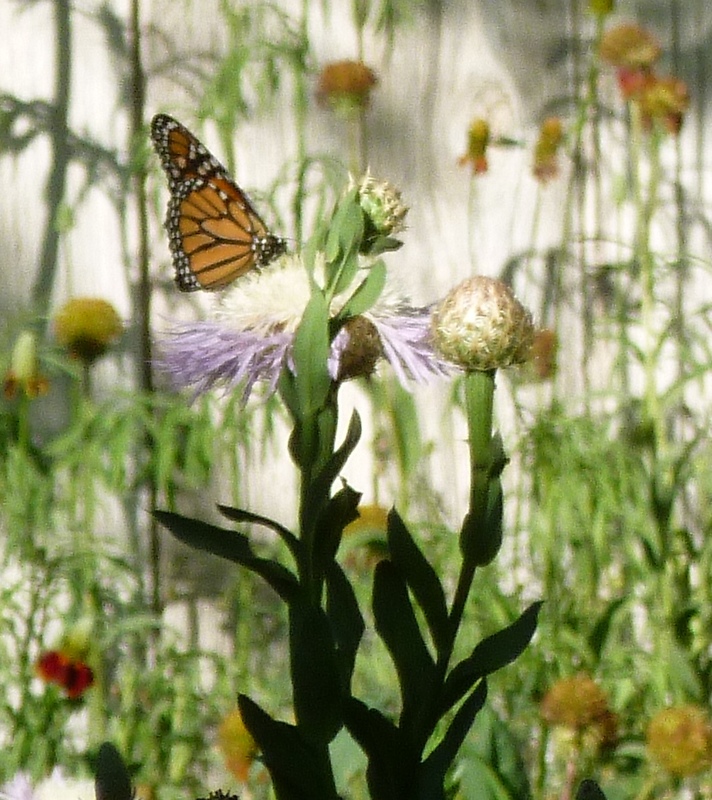 Danny and I were sitting on the porch after a hard day’s planting (for me anyway, bit of a spectator sport for Danny), when I was very gratified to see this Lubbock visitor flit around the yard and finally settle on one of the Basket Flowers. Not the best photo as it was across the yard, but I was happy 🙂 Brings my 2012 butterfly and moth species list to 8, although there are some I’m still trying to identify from my blurry photos. This entry was posted in Uncategorized and tagged American Basket Flower, butterflies and moths. Bookmark the permalink.